room31fashion: Make Mine A Midi! If you are slightly vertically challenged like moi or you are lushiously tall then a midi is the right choice for you! Because of my height (5 foot 1 inch) I just LOVE midi dresses. They are a really flattering length on me and also look perfect on those lovely tall people out there too. 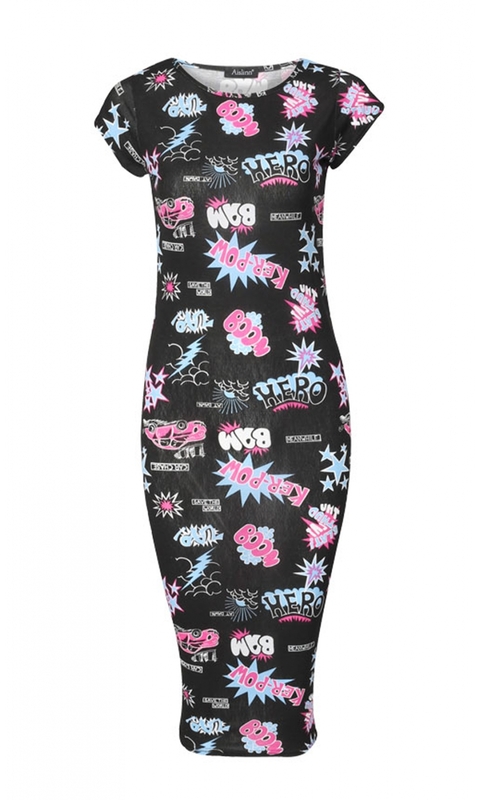 All the celebs love the cartoon print and have been snapped all over the UK wearing their cartoon print dresses! 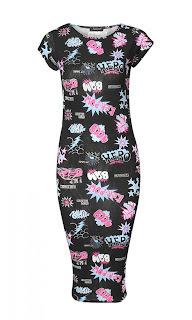 Jessie from Little Mix can't get enough of them and Cheryl Cole goes the batman print too! Be part of this new trend sweeping the nation and get your uber cool midi dress now!